The President of Nigeria Football Federation (NFF), Amb. 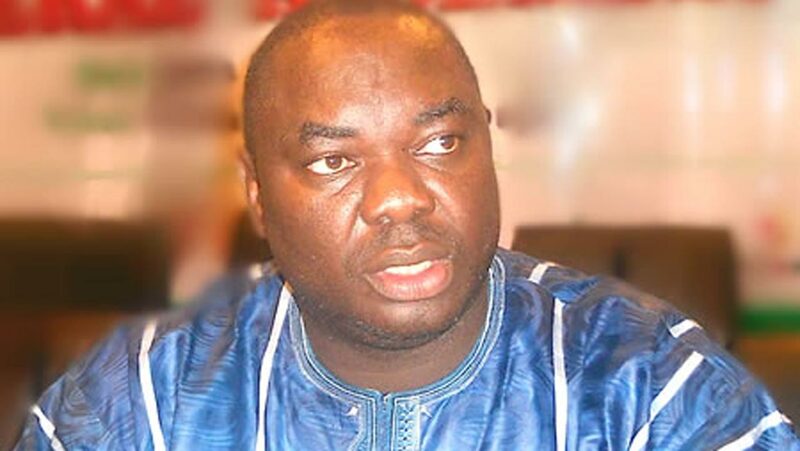 Chris Giwa has dissociated his board from the purported NFF Elective Congress time-table scheduled to hold on September 20, 2018. Amb. Giwa in his reaction to the news in the media about the election, called on the general public to disregard the so-called election time-table, as it has no place in law, and was not sanctioned by his legally recognized board. The President warned those still parading themselves as electoral committee members to desist from doing so, as they were in breach of the laws of the land.“We want to give last warning and strongly too, to the electoral committee members to stop forthwith their illegal actions and face the reality that the legally recognized board did not sanction this electoral time-table,” he stated. The President also stated: “The committee should stop issuing statements on any purported election or be ready to face the long arm of the law soon”.“Our quietness should not be misconstrued as ignorance of the law, as the enrollment order of the Federal High Court, Jos dated June 5th, 2018 states inter alia: “That an order is granted to 1st and 2nd Applicants setting aside all acts, resolutions and or decisions made or taken by the Executive Committee of the NFF purportedly elected on 30th September, 2014, including the purported” ban” of the Executive Committee elected on 26th August, 2014 from all football activities, as illegal, ultra vires, unconstitutional and null and void.”The Electoral Committee had purportedly adjusted the election time-table from 30th September, 2018 to 22nd September, 2018.